for $799,900 with 4 bedrooms and 3 full baths, 2 half baths. This 7,796 square foot home was built in 1979 on a lot size of 1.0000 Acre(s). Sophisticated and Serene!! This dramatic contemporary home is like a work of art that gracefully interacts with its beautiful setting. 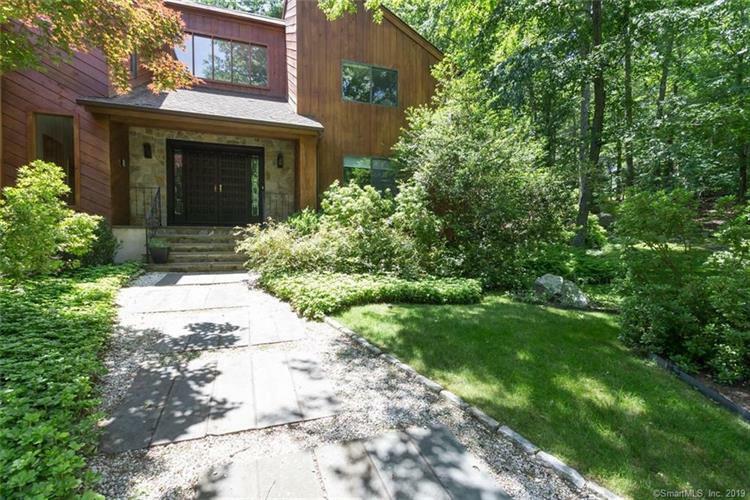 The house has high ceilings and is filled w/light from skylights, high windows and walls of glass that open to decks on the peaceful, well-landscaped acre. The layout is perfect for entertaining, with a wonderfully open floor plan. The 2 story light filled foyer leads to a step-down Living Room with fireplace & sliding doors to an expansive deck that goes across the rear of the house. Formal dining room has a fireplace. Large gourmet eat in kitchen has stainless steel appliances, granite counters & breakfast bar. The kitchen flows into the family room with soaring stone fireplace & into an inviting screened porch. There is a 4th Bedroom/office on the main level and 2 half baths. Upstairs is a handsome master suite with 2-story high ceilings & unsurpassed spa-like bath. 2-additional bedrooms are extra large with hardwood floors.Spacious walkout Lower Level does not disappoint w/ 2nd family room/playroom, BR+ bath & plenty of space for a crafting, exercising or office. Many options for the discerning buyer. 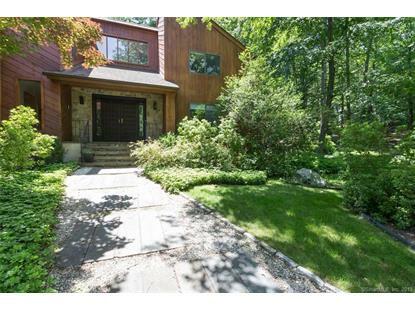 City water, Central Air + many updates/improvements complete this special home located in a sought after area of North Stamford.